I can't figure out why this model won't show all of the bones in pose mode. 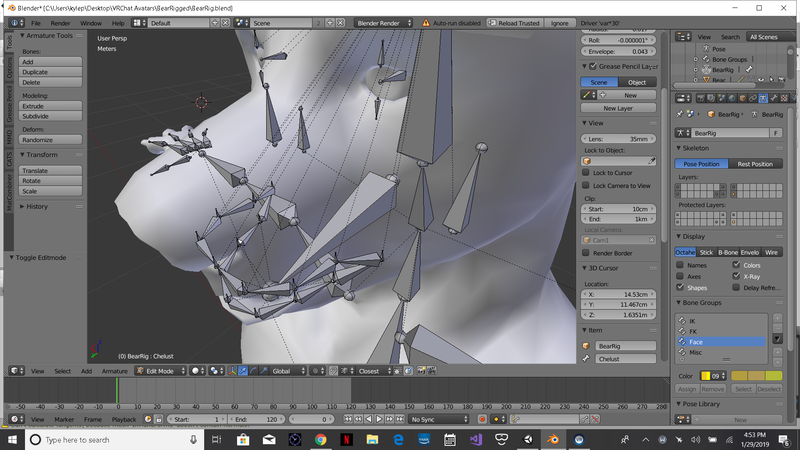 I think it has to do with the bone layers, but I don't know how to move them. Even with all of the layers selected, only some of the bones appear. No bones are hidden. Alt-H does nothing. The problem may also be related to bone groups. 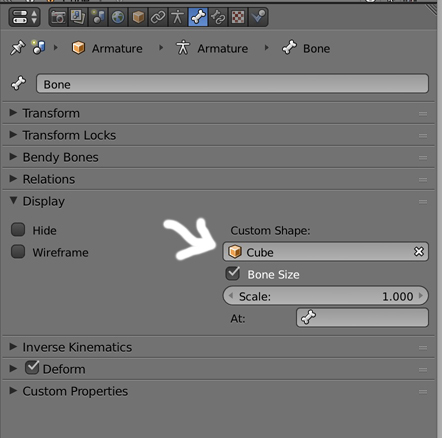 It looks like your bones have custom shapes, if you go in Pose mode, select a bone, go in the Properties panel > Bone > Display > Custom Shape, some meshes are used to display the bone in another way than a classic octahedral shape. Press on the little X to delete. I don't think you can delete them all at the same time. Not the answer you're looking for? Browse other questions tagged armature bones layers or ask your own question. 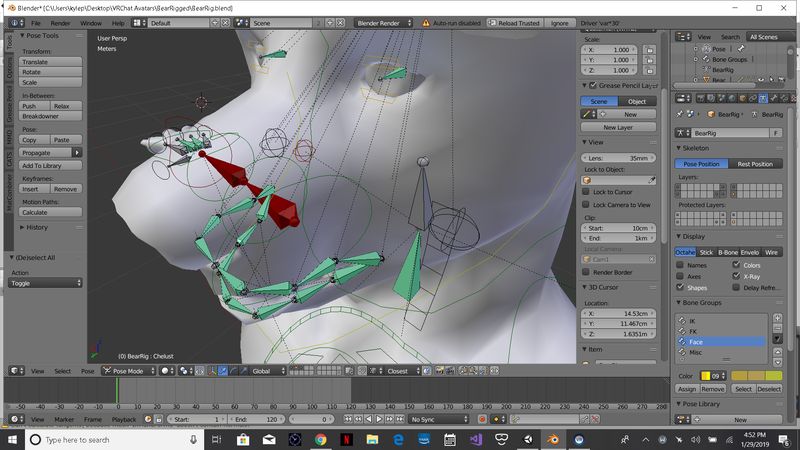 Rotate a particular bone in edit mode without offsetting animation?